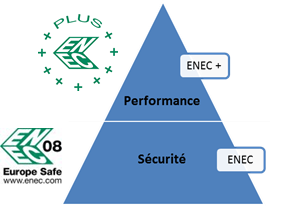 ENEC+,the solution to certify the performance of your lightings. For more than 20 years, LCIE has been supporting you, as a European Certified Body and member of the ENEC certification scheme. In the field of lighting, technology of LED luminaires keeps on evolving. To support this innovative development, performance standards have been developed to verify the compliance of LED modules and LED lighting sources. LCIE Bureau Veritas is already recognized by EEPCA as NCB to deliver the ENEC+ Mark and to support you in your certification approach, relying on its Testing Lab: PISEO. How to get the ENEC+ Mark? IEC 62722-2-1: Particular requirements for the performance of LED luminaires. What are the benefits of ENEC+ ? Certification of stated performances (endurance, lifetime, luminous efficiency...). How to prove that my product is ENEC+certified? Is ENEC+ only applicable to LED products? ENEC+ will not be limited to the LED light source; it should soon be extended to other types of light sources.